ExFabula sounds kind of tricky to say, but a name you should get to know, quickly. They filled Club Garibaldi in Bay View to jump start the neighborhood segment of their story telling series, Terminal Milwaukee. Milwaukee has its share of characters, and the one’s sharing their tales in this episode of Terminal Milwaukee proved why Bay View might be the most grounded place in the City. If you have ever hung out, known anyone or actually lived in Bay View you may have noticed a healthy, but subtle, self-contained shoulder-chip. Their level of neighborhood pride has a good reason. Terminal Milwaukee’s Bay View theme, “All in a Day’s Work”, gave venue for master historians and grizzled but good spirited working folk to dish proletariat-ism, uncensored, honest and unplugged. John Gurda author of The Making of Milwaukee, a 17 part documentary series that aired on Milwaukee Public Television, layered bedrock for the night’s story tellers. On a plainly lit stage, kept company only by the microphone and stand, John Gurda calmly explains that Eber Brock Ward, a Detroit iron magnate, established a branch of his iron conglomerate on the southern shores of Milwaukee, and named it Milwaukee Iron Works. With a new iron outpost in place, 1868 brought the founding of a mill town named Bay View, technically Milwaukee’s first suburb. Just 9 years later, Bay View residents voted to re-join the City of Milwaukee to enjoy access to public services such as water and plumbing. Bay View’s reuniting with Milwaukee changed daily life for its residents, ending the era of public wells and rustic rooms. According to Gurda, Bay View also claims credit for being a bastion of the labor rights movement in Wisconsin. The iron rolling mill workers toiled in heat of over 150 degrees day in and day out, and still mustered the strength to organize themselves to protest Ward’s ungracious labor practices. 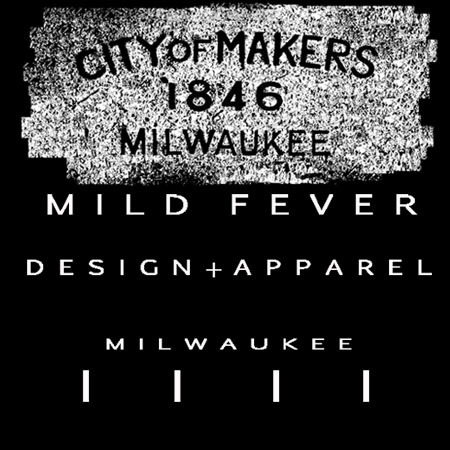 When the first worker organizations in Milwaukee, led by the Sons of Vulcan, attempted to follow suit with the rest of the region and strike during the May Day Labor Strikes of 1886, Wisconsin Gov. Jeremiah Rusk called in the militia and ordered use of deadly force if workers did not stand down at the mill. Adding facts far more accurate that Wikipedia, Gurda’s narrative reveals that the Captain of the militia attempted to call off the shoot-to-kill order. However, as the militia advanced on the stalwart workers, his orders to stand down, rendered inaudible from his post 200 yards behind the front line, fell silent under the sound of gunfire and frantic screams. In the end, 7 died including a retired mill worker living near the protest and a teenage boy playing hooky from school. The workers despite their tragic losses, eventually won 5 day work weeks and 8 hour regular work days. Only a few generations removed, many of the Sons and Daughters of those mill workers reside in Bay View to this day, Terminal Milwaukeeans. Jones Island now houses the City’s waste facility. During Milwaukee’s time of high industry in the 1940’s, 50’s, 60’s and 70’s it was our Hell’s Kitchen, for rough-knuckled and heavy drinking longshoremen. Before that Kashubian Polish immigrants settled Jones Island as fisherman. Terminal Milwaukee story-teller Tom Crawford, is like the Last Star Fighter of longshoremen. Like many before him, doomed to a life of hard-knocks and ridicule by anyone and every one that didn’t see him as having a place (not just because he stands a burly six five), he kept his nose to the grind stone. Rolling with fate’s punches, Crawford eventually found himself at the helm of Milwaukee’s renegade station 91.7 WMSE. ExFabula casts Crawford as the central character of the Terminal Milwaukee series. ExFabula’s venue selection mark sign posts that retrace the bumpy road of Crawford’s life. September 9th, in what most Milwaukee residents know as the Capital Court neighborhood, the story telling crossroads leads to Satin Wave Barber and Beauty for an evening centered on Barbershops. Having only heard Crawford’s musings about growing up on 27th and Lisbon, working sporadically at Pizza Man, watching a man get his arm torn off in a machine shop, before settling for a time as a longshoremen, Barbershop should be nothing short of interesting. Moons before Crawford’s time, another breed of longshoremen existed. ExFabula gave voices to ex-longshoremen of this middle era that keep time by tracking strange events like the year Erza Pound died, the model year of a memorable Buick, or the year the ball almost didn’t drop to ring in the next. Attempting to do justice to the stories told during All in a Days Work would be criminal indeed. A few morals may be in order though. Circa 1972, “Dirty” and “hard jobs” supplied opportunities to forge a backbone in teenagers. When dealing with others tread lightly, you never know what kind of day someone is having. Good fortune, longevity and community follow the honorable. Finally, like the fabled last inhabitant of Jones Island, Capt Felix Struck, Terminal Milwaukeeans develop a certain stick-to-it-iveness, the ability to eek out more lives than a 3 legged and 1 eared cat. Patty Pritchard-Thompson, former president of the Bay View Neighborhood Association, and committed Bay View resident, told the story of her ever resourceful, determined and traditionally classy mother. Her story painting a scene where a woman with indomitable motherly voluptuousness pursues her life passion, a-fixing fashionable upholstery to furnishings using a now-banned epoxy called Hi-Bond 80, smoking cigarettes in an unventilated room in the basement, evoked the reckless abandon in which Bay Viewers treat work, an all-in, no-limit commitment to making it. Pritchard-Thompson’s mother, at the end of her story, stood as an archetype, a monument to Bay View and Milwaukee work ethic. Exfabula continues its series throughout the remainder of the year making stops in the Capital Court, Sherman Park, Burnham Park and Jackson Park neighborhoods of Milwaukee. Conversations about neighborhoods will inevitably take verbal exchanges past the landmarks of Riverwest, the neighborhood no one can agree upon. Known traditionally as Milwaukee’s melting pot, Riverwest’s legacy of community engagement, activism and acceptance of anti-mainstream lifestyles faces escalating jeers complaining of endemic crime and infestation of suburban social apathy. Saturday night at the Polish Falcon, the 6th annual Riverwest Follies put much of that controversy to rest. A loosely assembled group occupied the Polish Falcon gathering hall for Riverwest Follies, a variety show benefit for Riverwest Currents. Clad in a tuxedo and rabbit fur hat one performer, a local music engineer Pauly S (“The only Pauly you need to know”), enacted a futuristic rendition of Scott Joplin’s Maple Leaf Rag and The Entertainer while modulating his voice with a midi device. Unfortunately, the preceding description does not do the performance justice, as some experiences one must witness first hand. The Riverwest Ninja made a stealth appearance dressed in a snug all black clothy “ninja suit” to lead chants of the protest mantra “Tell me what democracy looks like!” Not quite a crowd at the State Capitol, those in attendance obliged replying “This is what democracy looks like!” Shamelessly making her point visually, the Riverwest Ninja’s medium was the message. She proposed using force of will to overcome inhibitions, while making your voice heard; a needed departure from the affective domain of social interaction. Among other performers Astral/Subastral provided upbeat melodies for reveling frolickers. To their credit there is little doubt the coming of the spring is at hand, but enough about the performers. The people supplied the real grist of the Riverwest Follies. Parents with their kids, romantic items clutching hands, costumed characters, modest bakers and craftspeople alike tossed aside being hip, image-conscious, oblivious, paranoid and/or cynical and embraced having a good time. The kids helped clarify the people part of the neighborhood equation, by collectively declaring “to hell with being entertained!”, freely running around during a skit promoting Riverwest Currents. The kids get it right most of the time: the running never ceased. The next time Riverwest comes up, know that the modest and socially conscious working-class roots of the neighborhood still thrive without pretense. Riverwest Currents is a monthly print and online news publication focusing on issues affecting Riverwest and its neighbors.